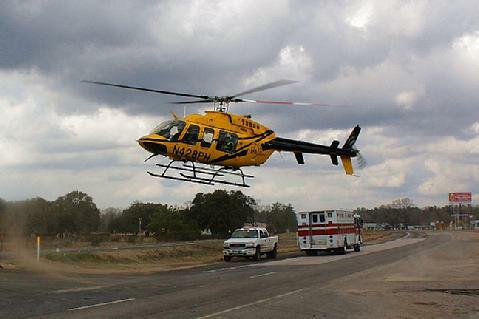 PHI Air Medical lands in the middle of US-59 North. 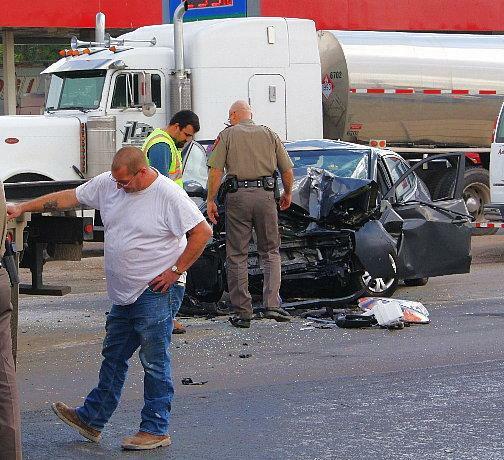 Driver Flown to Houston From Major Accident, GOODRICH, January 19, 2010 - Shortly before 1 pm on January 19, 2010 a gray 2009 Hyundai Elantra driven by Travis Grefenstette, 19, of Kemah was north-bound on US-59 in Goodrich when a red Freightliner 18 wheeler driven by Jeff Furlong, 48 of Tenaha allegedly pulled out of the Chevron parking lot and directly in front of Grefenstette. Greffenstette's vehicle slammed into the rear of the flatbed trailer being pulled by Furlong. Greffenstett's vehicle was stopped in the middle of the north-bound lanes almost directly in front of Lone Star Charlie's Restaurant. 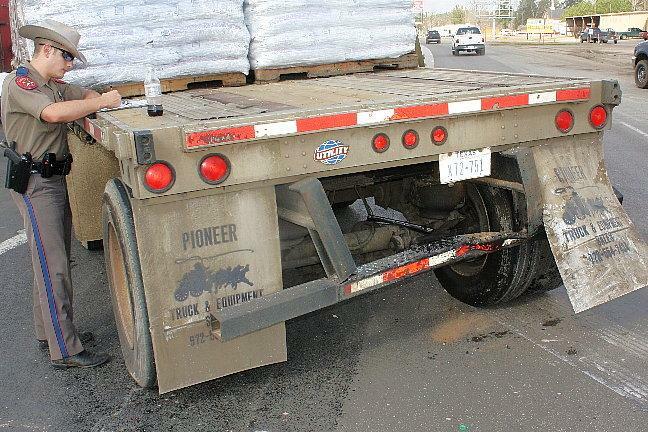 Furlong's 18 Wheeler pulled into the crossover point where he parked his rig. 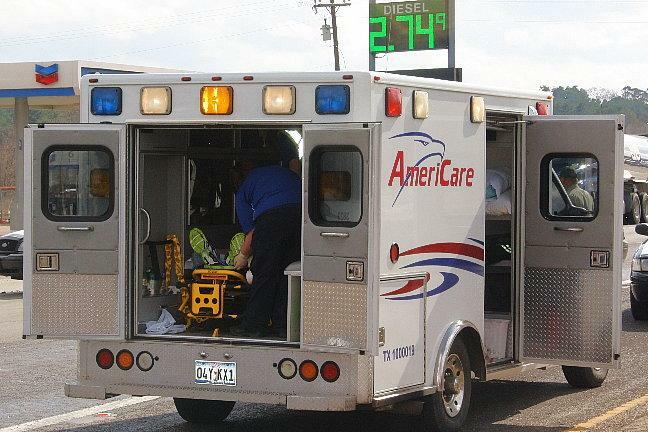 Americare Ambulance Service was dispatched to the scene along with a surplus of DPS Troopers including Trooper Ramey Bass. Also dispatched to the scene was Livingston Volunteer Fire Department Heavy Rescue Unit. Greffenstett was removed from his vehicle and loaded onto an ambulance. Both north-bound lanes of 59 were blocked during investigation and cleanup as traffic was re-routed through the parking lot of the Chevron. 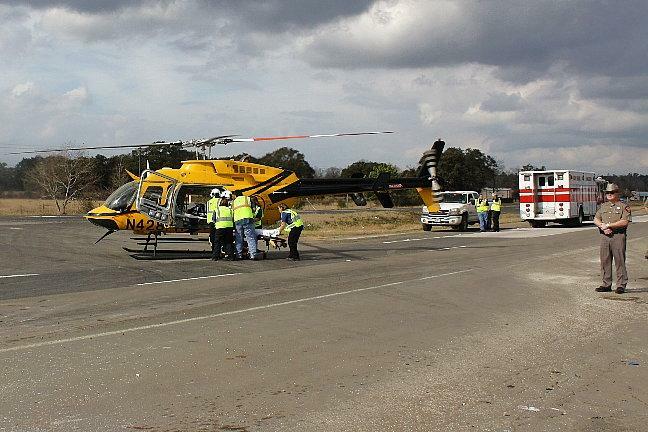 PHI Air Medical was summoned and Greffenstett was flown to Hermann Hospital in Houston with serious injuries. Both parties had insurance. A rollback wrecker from Fawbush Body Shop recovered Greffenstetts vehicle and it will be stored at Fawbush in Livingston. The accident remains under investigation, however, Furlong faces a possible citation for failure to yield right-of-way from a private drive. The scene was cleared by 2:05 pm. 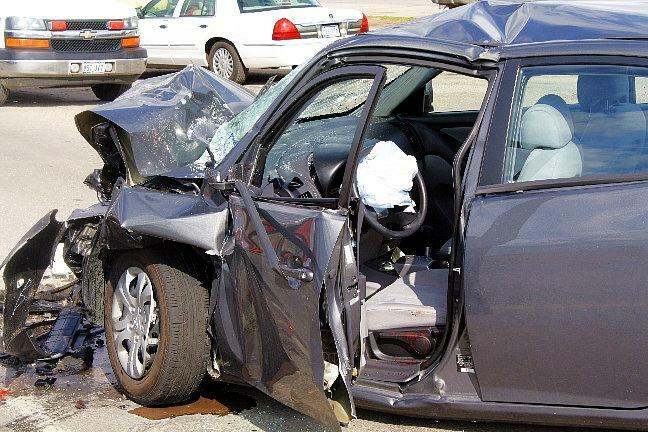 Travis Grefenstette's 2009 Hyundai Elantra slammed into the rear of an 18 wheeler trailer. Jeff Furlong of Tenaha was driving the 18 wheeler and alledly pulled out of a parking lot directly into Grefenstette's path (note: damage to trailer). DPS Trooper Chris Stanbery is also pictured. 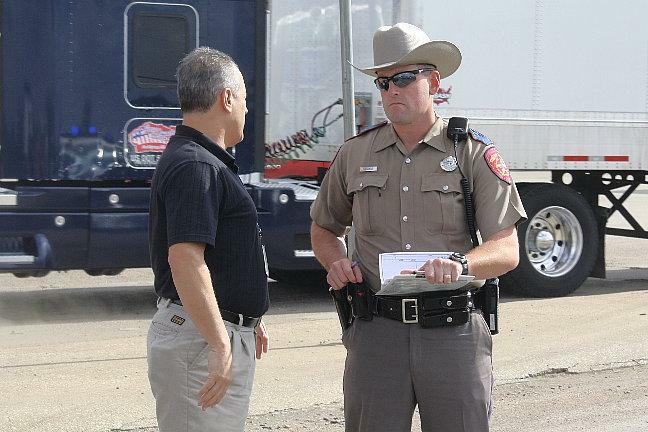 DPS Trooper Ramey Bass speaks with a witness. Jeff Furlong (left) comtemplates a bad situation for himself. 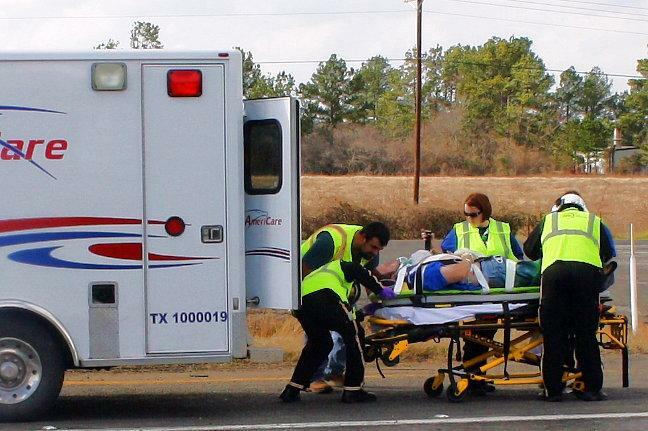 Grefenstette was wheeled to a waiting PHI helicopter. 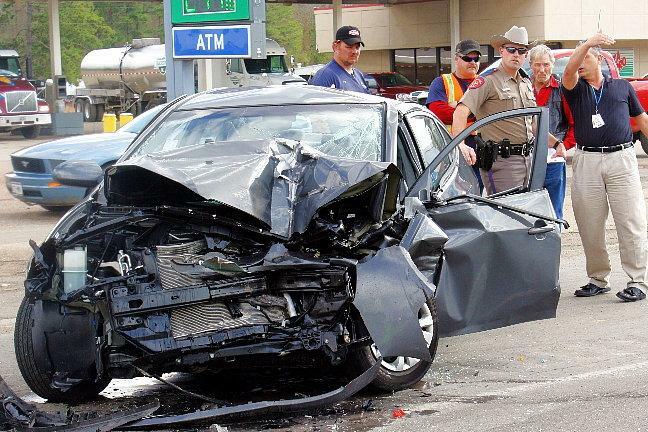 Grefenstette was flown to Hermann Hospital in Houston with serious injuries. 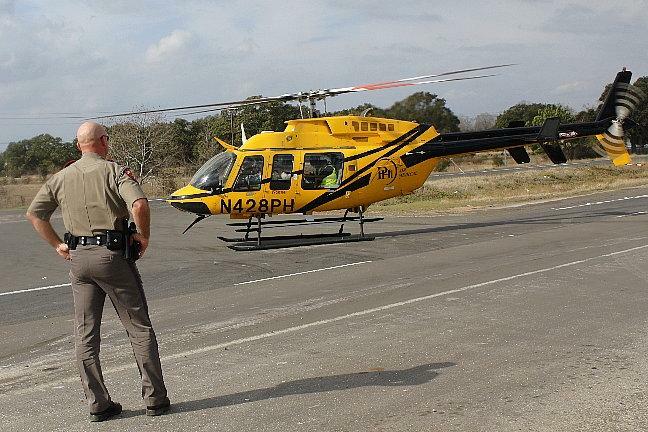 DPS Trooper Kevin Burman watches as Travis Grefenstette lifts off for Hermann Hospital in Houston.